The guy who does the Ill Propaganda channel at You Tube, a mashups specialist, did a short video which marries comments by Robert Anton Wilson to footage of high school girls in California playing volleyball. If you search his channel, there are a couple of other RAW videos. I found the video via a recent posting at That Doesn't Even Make Any Sense. 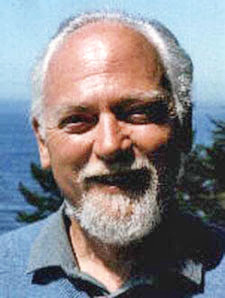 There's a couple of other Robert Anton Wilson videos if you search the Ill Propaganda area.